We come back! Today we have new case studies for all of our honored customers who are using Magento 2 themes. Sometimes, after successful installation, you will launch website link and get error of 500 Internal Server Error. Well, so how to fix this issue? It is simple if you follow our guide in this blog. Before starting, make sure that your site is still working normally. Many customers asked us about the common issues when they got mail notification of theme updated. They wondered and wanted to update their theme to the latest version but they do not know how. Unfortunately, this thing is not included in price and customers need to do it by themselves. 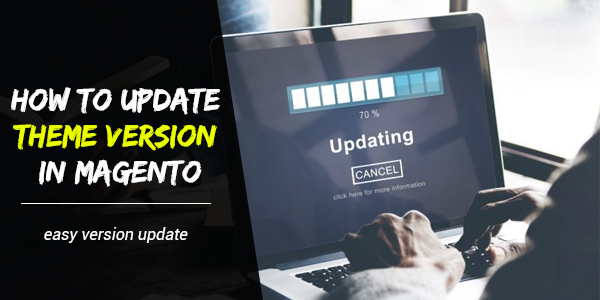 This blog will show you the easy way to update your site to the latest version. How To Fix Magnifier Doesn't Work With Inner Mode In Product Detail Page? Today, we are happy to show you how to fix Magento 2 issue: Magnifier not working for product image on product details page. It's showing overlay image after hovering over product image but it's not zooming the image. Luckily, the solution to fix this is quite easy. You can apply the following way to fix it now. How To Configure Sales Email in Magento 2? Do you want to automatically send out a confirmation email to your customers after they make a purchase and when an order is ready to your customers from your Magento 2 website? Today, we are happy to introduce you new tutorial on how to set-up sales email on the Magento 2 store. Luckily, the solution to fix this is quite easy. But please note that this is PrestaShop 1.7.4.2 know issue and below fix is just a temporary fix, you should not directly change PrestaShop core file (override or create a plugin).